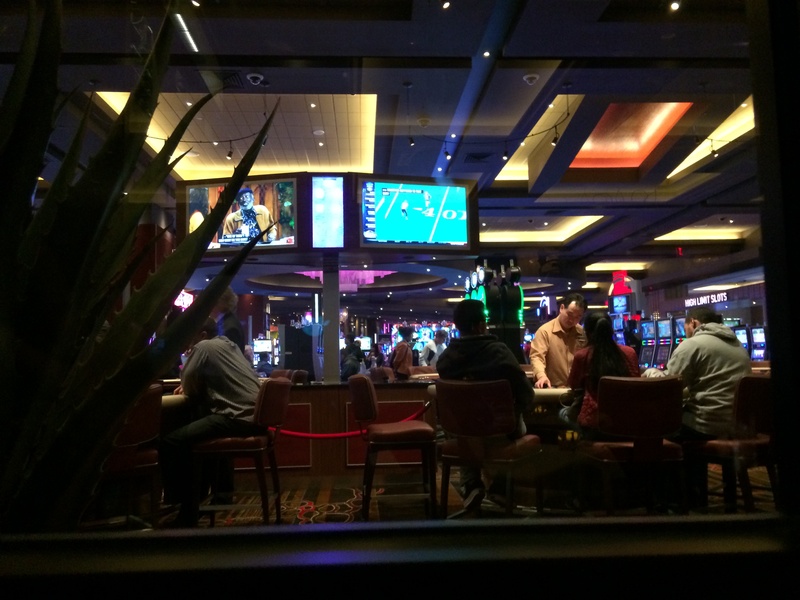 Sean and I were in need of a change of pace and a bit of a thrill, so we headed to Maryland to visit its casino, Maryland Live. Sean loves craps and he’s recently changed his strategy from playing against the house (what almost everyone does) to playing with the house. (That makes it sound like I know what I’m talking about! Much of this game is over my head but I know this much.) He’s had a lot of success with this strategy change so wanted to try it out again this weekend. I was looking forward to our trip, but it was a little hard for me once we arrived. Which I didn’t expect. When I lived in Maryland I voted against gaming, and I found the slot machine debates to be the most interesting and a little depressing when I interned at the Maryland General Assembly in college. I hope this was a good decision for Maryland and helps them accomplish what the state intended. It’s just hard not to see the consequences (existing or potential) just walking inside. For me, I’m not sure the additional revenue stream for schools is worth it. Anyway, we did have a nice time. Sean got a lot of attention around the table. Because he was betting with the house he was being paid when most people were losing, and everyone wanted to know how and why this was happening. Table games are like a team sport, which is something I like about them. Team sports like swimming or track. It’s an individual sport when you’re the roller, but your outcome affects the results of everyone else so you’re in it together in the end. This brings people together and all of a sudden you’re high fiving and making friends with people you may not otherwise. 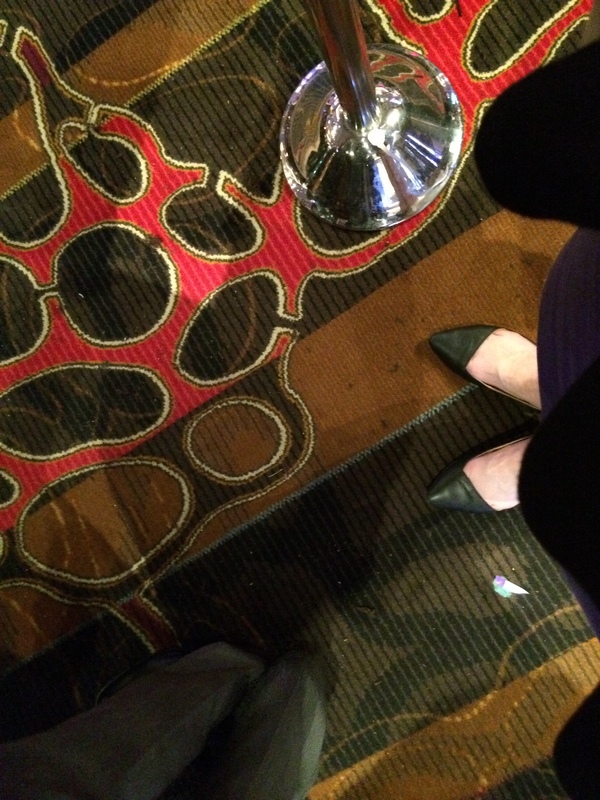 I want to know whose job it is to pick the carpets for casinos. I find this design to be pretty bizarre. I’m not encouraged to spend money by this carpet. I guess we have Maryland state colors here, but really? We had a successful night. We won enough to pay for dinner and to walk away with a little bit extra. 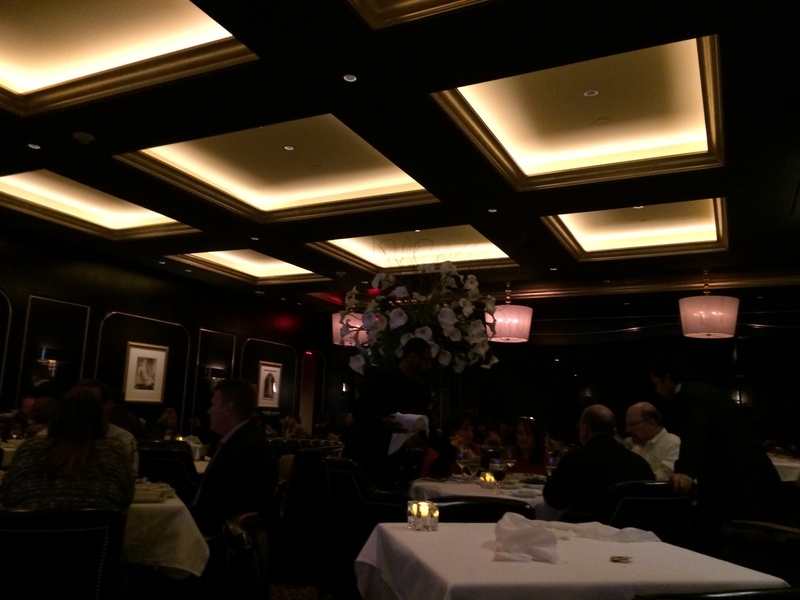 We had dinner at The Prime Rib, and not only was the food delicious but the service was outstanding! The dining room was beautiful. Unfortunately this picture doesn’t quite do it justice. We certainly got the change of pace and thrill we were looking for. It really was a lot of fun. This entry was posted in weekend by Sarah. Bookmark the permalink.